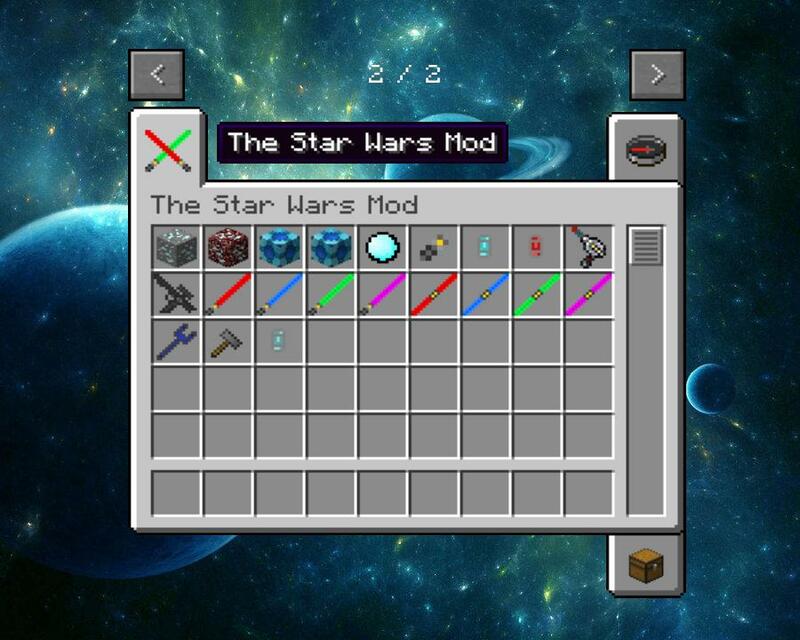 This Mod is based on the Features from the series of Star Wars Originaly Created by George Lucas. Then sold to Disney. 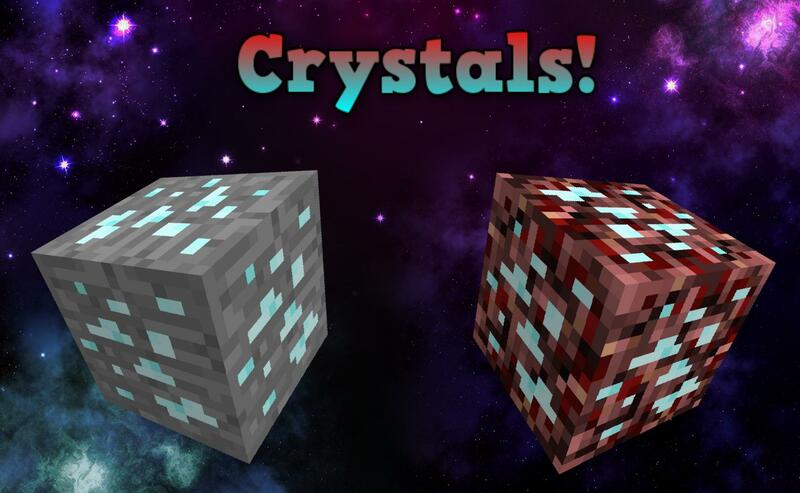 The Crystal Ores are probably the most important thing about this mod as of yet. 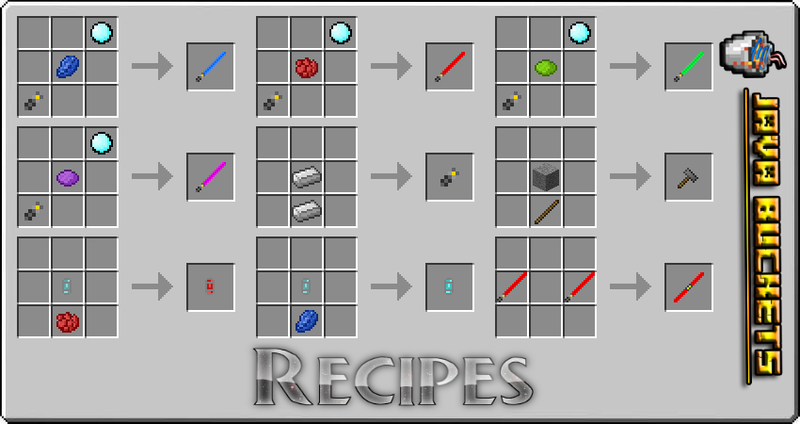 You need them to craft almost everything. The Holocron was an Idea from one of you guys out there. Its potential in the mod has no come way beyond what I thought of it. 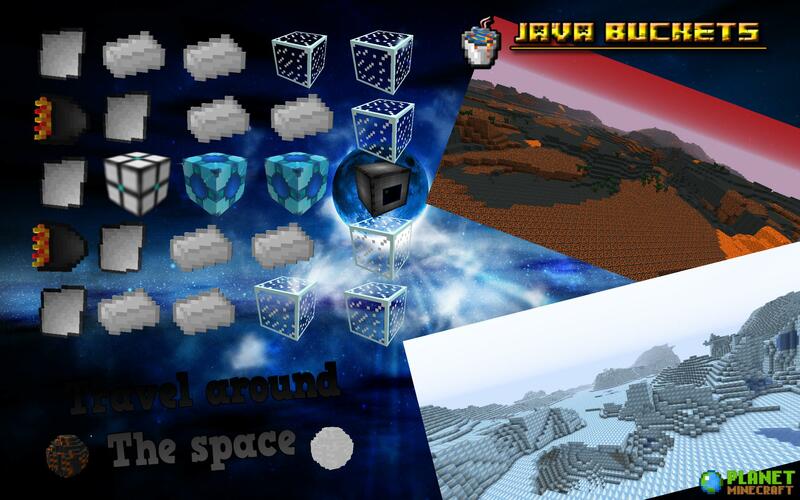 It is used to craft various of cool stuff and is also a pretty cool looking block itself. The texture goes good with it as well. 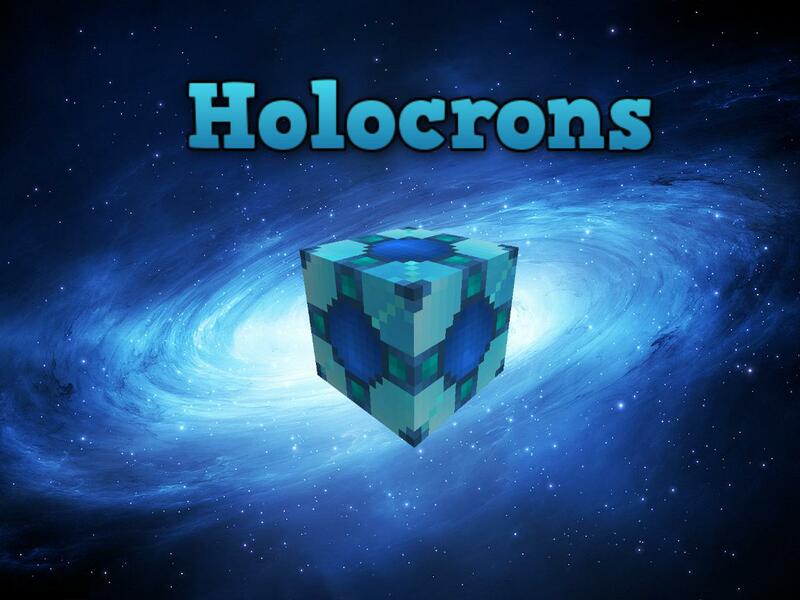 The Normal Holocron is the one you can craft and use for other items to be crafted. It glows in the dark and is just awesome. is 4/3 times harder than the Crystal Ores. The Fake Holocron was made so whenever you create an Instant Hut and there pops up some Holocrons here and there, they are Fake, meaning you can craft anything with them. 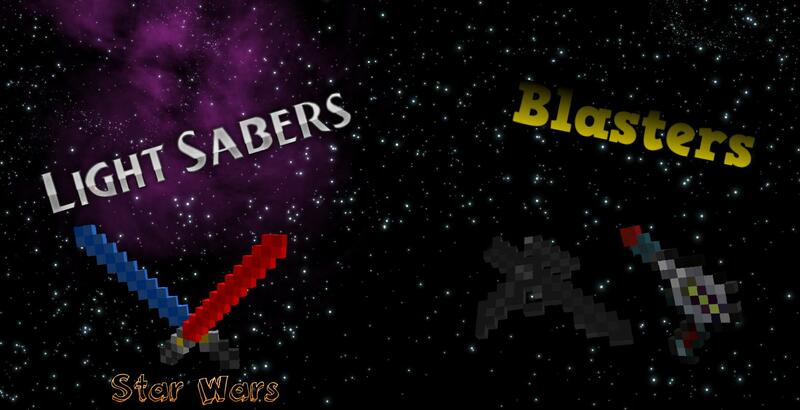 LightSabers and Blasters are the Main Weapons in the Star Wars series. With Jedi’s or Sith’s using Sabers and Rebels, Stormtroopers, Drones and Clones using Blasters. They are both powerfull weapons against the normal Minecraftians since they are either made out of, or shooting out some Crystal(s). They have the ability to close and open at all time. When closed they of course don’t do the same damage. They have Unlimited Uses since they are not to be broken. U can only have 1 lightsaber in ur hand at the time. The Blasters are currently being under development but I still added a bow version of them anyhow. So go ahead and try them out. They should be 1 hit on most of the mobs and npc’s. 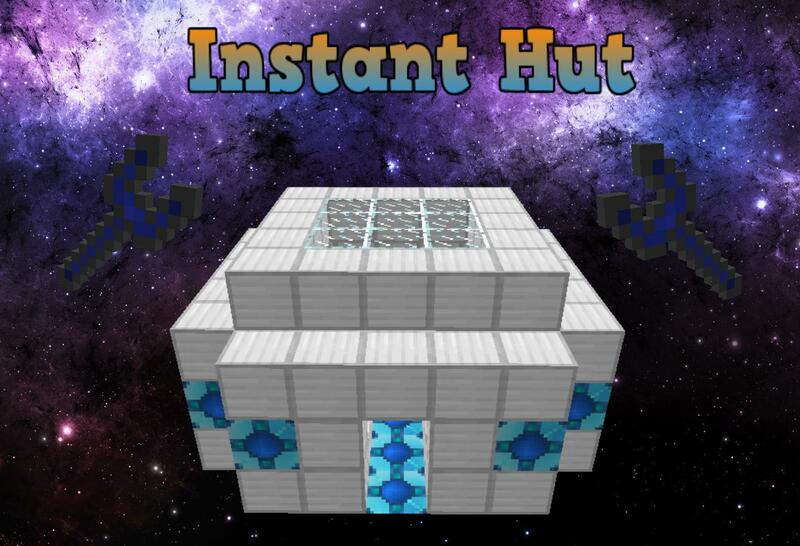 The Instant Holocron Hut is made by right-clicking on the ground with an Instant Hut Wrench looking Item. The Item has 10 uses and will after then destroy itself. Last on the list for now we have all this also. The Crystal is the Item you get when mining Crystal Ores. The Handle is used to Craft LightSabers and Blasters. 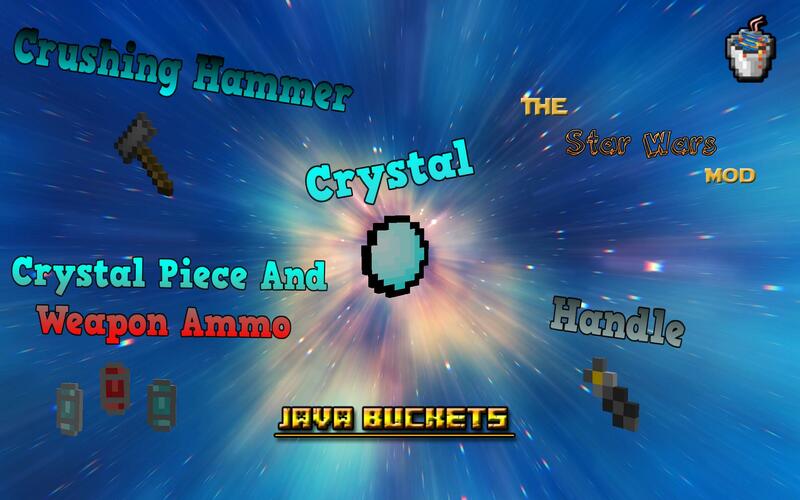 The Hammer can be used to crush a Crystal into 32 Crystal Pieces, which can be charged by adding either blue or red dye color to it.